Hi all, it’s Thursday again! 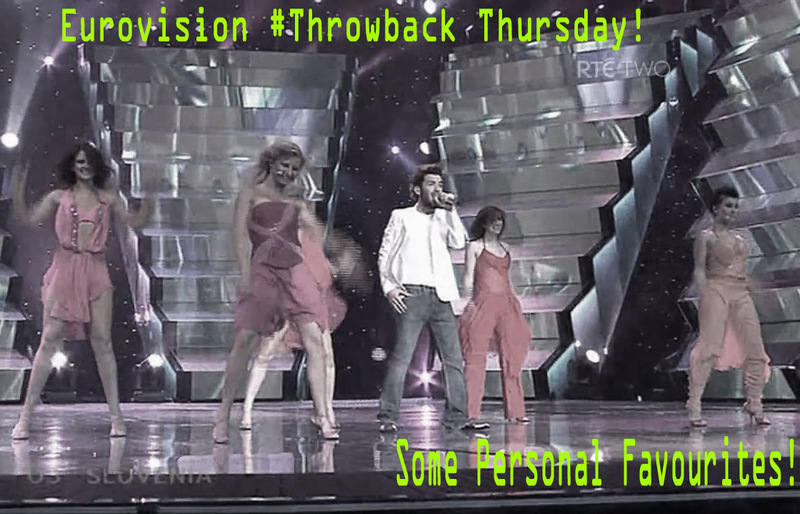 And that means I bring you some more Eurovision classics! Today the songs I give you today are actually some of my personal favourites. And they’re probably no-one else’s favourites but what ‘floats your boat’ is always going to vary from person to person. And I have more! Today’s are catchy and also quite kitschy! So here we go. Firstly we have this track from Israel, a top-tapping number with a very amusing act that goes with it. One of my all time favourites. Great song that didn’t make it past the semi-final stage. Strange subject matter for a Eurovision song, but this one again has my toe tapping! In a similar vein, this showstopping number from Sweden in 2005 did pretty well from memory. It’s a great track! Next week there will be more awesome numbers on #ThrowbackThursday so tune in! Thanks for stopping by today, and May the Journey Never End! Kitsh-tastic! It seems a male singer with skimpily dressed minxy female backup singer/dancers is a common formula on Eurovision!